These are the “Highlights from a Grandmother’s point of view” so none of these toys work with appsapps. There are some great toys with apps but I tend to the more simple straightforward toys. The pictures are all my own from the displays I saw – no stock photos here – just the real thing. For some of the items not out yet, this may be a prototype and the final may differ a little. Most of the toys at Toy Fair are for pre-school age and up to adult. This is my first year writing a post just for babies and toddlers. There are three little ones in this group in my family so I guess I was looking at this category with them in mind. Here are some of my favorites. 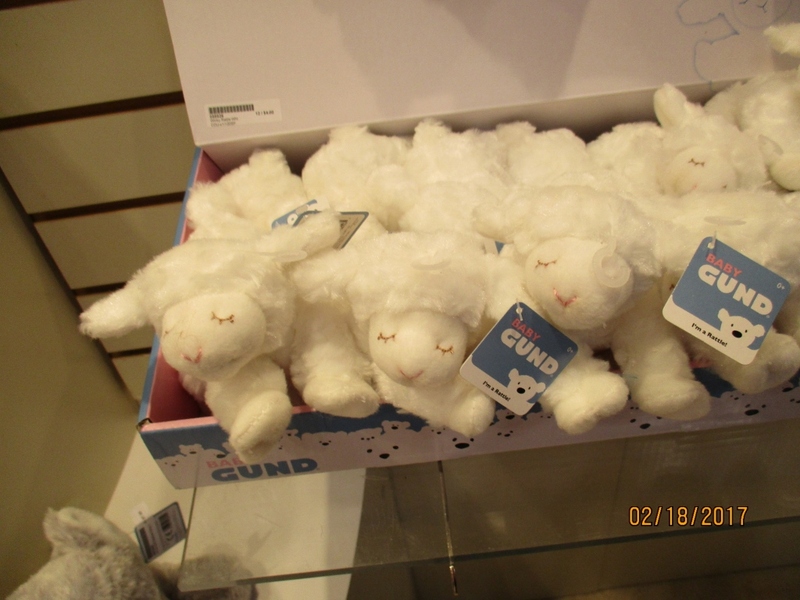 These super soft lambs with embroidered facial details (safe for babies) that are also rattles will make you want to cuddle up in a crib with them. At 4 1/2 inches, they are small enough for the youngest baby. 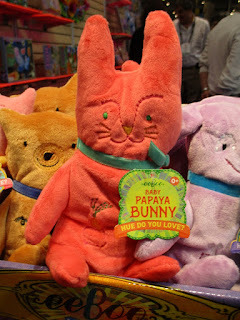 What a sweet Easter or Passover gift for a baby or toddler this would make. If your tastes goes more to the bright colors, this bright bunny by eeboo is an excellent choice. There are beans in the bottom creating a crinkly sound. The stitched features and the soft velour make this an excellent choice for a the youngest baby also. Another nice Easter gift for a baby. At 7 ½ inches long, this is also sized right for a baby. 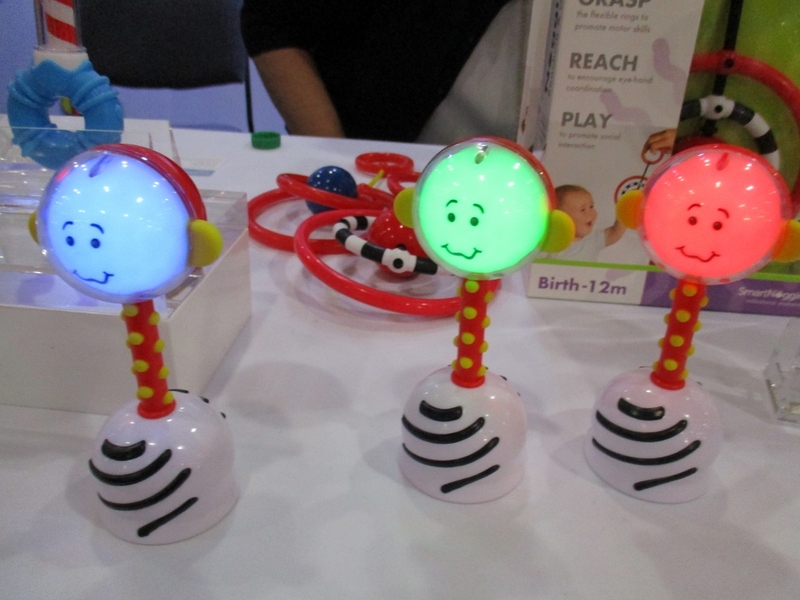 The NogginStik Developmental Light-up Rattle is described as an educational tool that helps promote visual tracking, auditory orientation, grasping, reaching and language skills. The light up feature is unusual for a baby’s rattle. Babies will follow the light. The textured midsection is easy and fun to grab onto. And babies will like the soft rattle sounds. The founder of this young company worked for years as an early intervention therapist and teacher before starting SmartNoggin. This rattle is a winner of the prestigious Oppenheim Toy Portfolio Platinum award. Once Babies are ready for tummy time and sitting up here are a couple of suggestions…. I really liked this set because it is so much more than just balls. The various shapes, textures and sounds when you shake them, will provide both fun and development opportunities for babies. Look for this set in specialty stores. Recommend for babies ages 6 months+. 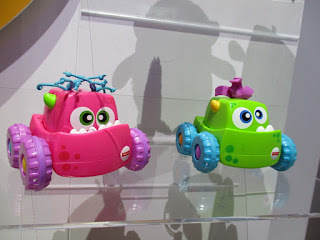 This cute little car rolls away when you press the top - but not too far. 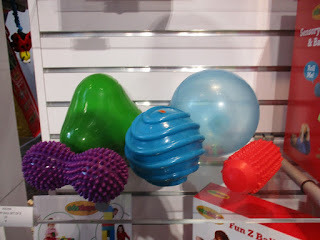 You can play with this with a baby without crawling across the room yourself to retrieve it. I can picture lots of giggling babies with this one. Available if bright pink and green Spring colors. Kids start on LEGOs early these days my friends. And there is a lot more than the basic building blocks. There are many themed sets. 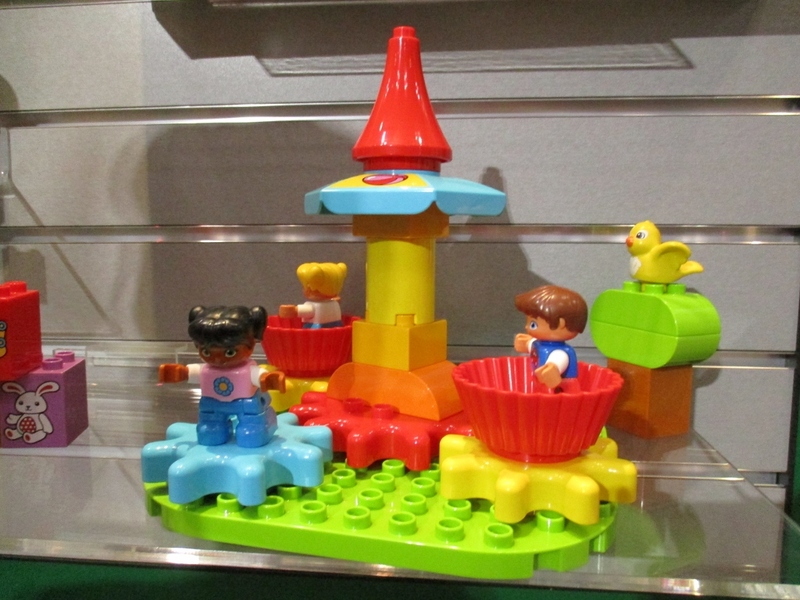 The My First Carousel is the first DUPLO set to feature gears. This is definitely a fun first DUPLO set. Toddlers love to build and revel in their new found ability. These colorful blocks with different shapes and decorations provide the opportunity for endless designs. 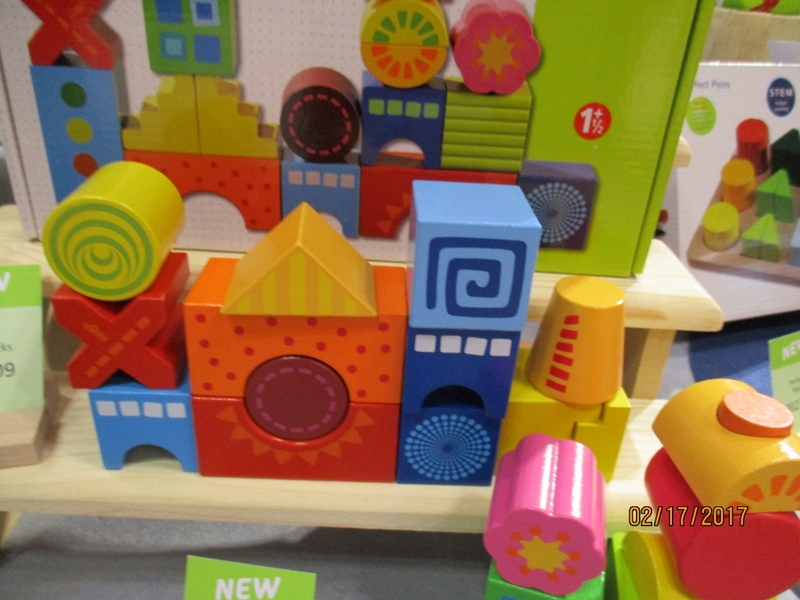 The blocks are sized so that toddlers can easily pick them. This may turn out to be one of those toys with a long life also. 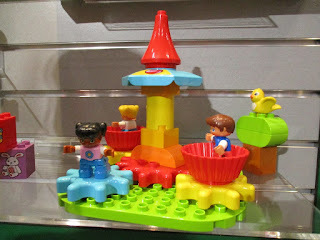 I can see them used for more elaborate building projects with other building sets to create truly imaginative designs. These 12 inch trolls plush by Dreamworks will find homes with families who love trolls – and I know there are a lot of you. If there were toddlers in my house I would be getting one of these (I may anyway). These are actually on the market beginning March 22nd but you can pre-order today and be one of the first to have one. 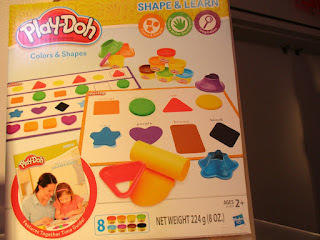 We usually think of Play-Doh as a pre-school play item not a toddler one. 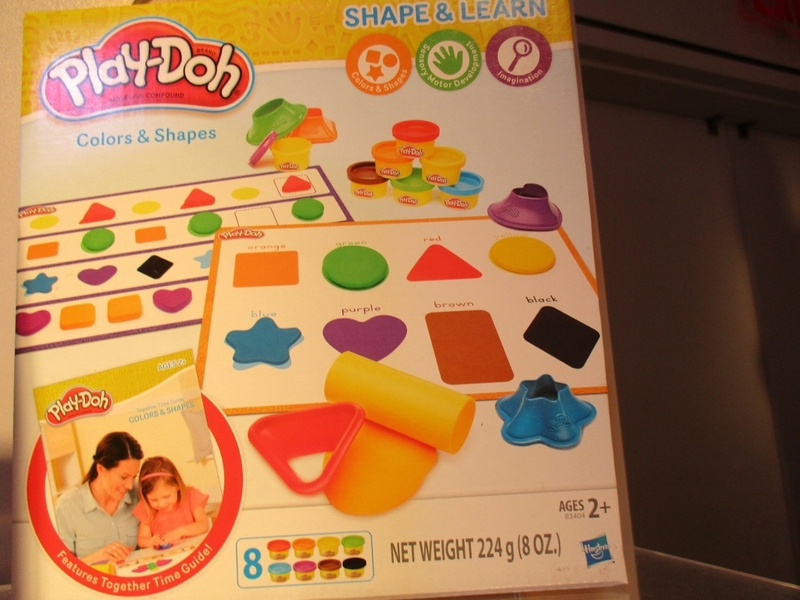 But Play-Doh has a new line called “Shape and Learn” designed for 2 year olds. The tools are all bigger and easy to use. There are activity guides included in each set. This is a good adult and child work together set. Grandparents – that means you too. The sets include Colors and Shapes, Numbers and Counting, Shape a Story and Letters and Language. I do plan to have a separate post about games but I wanted to include this one here. 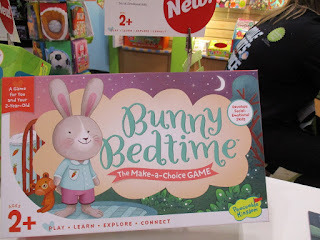 For the first time this year I saw games designed for two year olds. This is one of my favorites and it would be an excellent grandparent gift. How do you play? It's time for bed, Bunny! Players roll a chunky die and move Bunny on the game path. Along the way, players help Bunny make choices about her bedtime routine. Which bath toy will she play with? Which pajamas will she wear? I just love this game idea. Well don’t delay in checking these out. 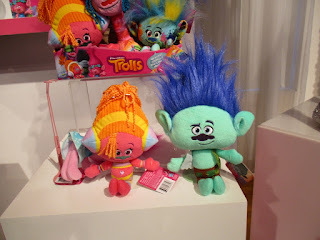 Before you know it you will be in the pre-school toy market and that is a whole different thing. If the items are on Amazon, you can just click below to see the Amazon listing. What a fun opportunity to check out all the new toys for every age. Thanks for linking up with Blogging Grandmothers. Lots of interesting toys! Thank you Marion for sharing at #BloggingGrandmothersLinkParty #LinkUp #BlogParty. I shared on Pinterest. Great choices. Thank you for sharing with #blogginggrandmotherslinkparty. #linkparty, #party. I have shared on social media.